A talk entitled: Living Under Occupation: A report From The West Bank will be given at St Mary’s Centre, Rye, on March 2, about the experiences last year of a retired local teacher touring the West Bank and the Negev, Israel. 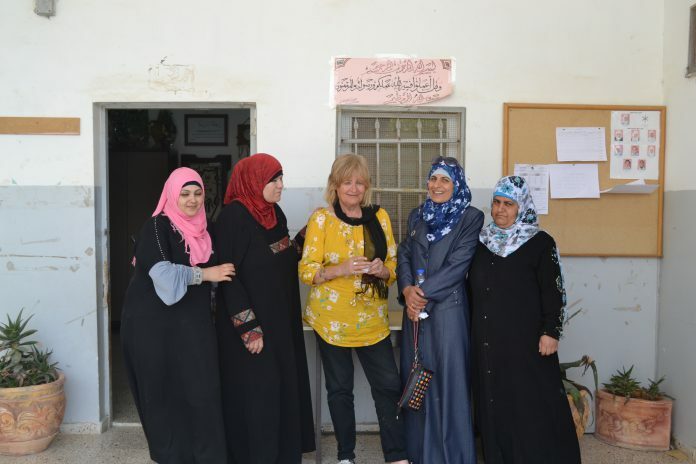 Gill Knight, a long-time supporter of the Palestinian cause, is a founding member of the Hastings Palestine Solidarity Group, a small but active group which works towards supporting Palestinians struggling for justice, peace and self-determination. Gill’s trip through Jerusalem, the West Bank and the Negev was organised by ICAHD, a non-violent direct-action group which opposes the Israeli occupation and focuses its activism on Israel’s policy of demolishing Palestinian homes. The group now has a Rye branch and runs a stall every other Saturday at the top of Conduit Hill from 11am-1pm. The talk is sponsored by the Hastings Palestine Solidarity Campaign. Date and time: Saturday March 2, 3pm to 5pm at St Mary’s Centre in Lion Street, TN31 7LB. Image Credits: courtesy of Gill Knight.